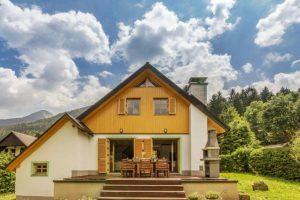 The Ski resort Krvavec as the Slovenia’s Best Ski Resort 2018, Ramada Resort Kranjska Gora as the Slovenia’s Best Ski Hotel 2018, Skipass Hotel from Kranjska Gora as the Slovenia’s Best Ski Boutique Hotel 2018 and Chalet Planina from Bohinj as the Slovenia’s Best Ski Chalet 2018 have been awarded last week by organisation World Ski Awards. The world’s finest ski tourism brands have been unveiled at a gala ceremony in Kitzbühel, Austria. 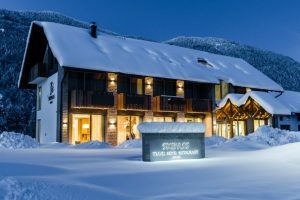 The Ski resort Krvavec has been awarded with the Oskar for the best Slovenian ski resort for three consecutive years and Ramada Resort has won this international award for the sixth time already. Launched in 2013, World Ski Awards aim is to drive up standards within the ski industry by rewarding the organisations that are leaders in their field. It is the only global initiative to recognise, reward and celebrate excellence in ski tourism. Votes are cast by professionals working within the ski industry — senior executives, travel buyers, tour operators, agents and media — and by the public (ski tourism consumers). Votes are submitted online at the World Ski Awards website, the voting system ensures impartiality and independence.